Entrepreneurs need to think out of the box and approach tasks, problems, and situations with openness to alternatives. You need to think creatively and look at situations and challenges from a new and fresh perspective. 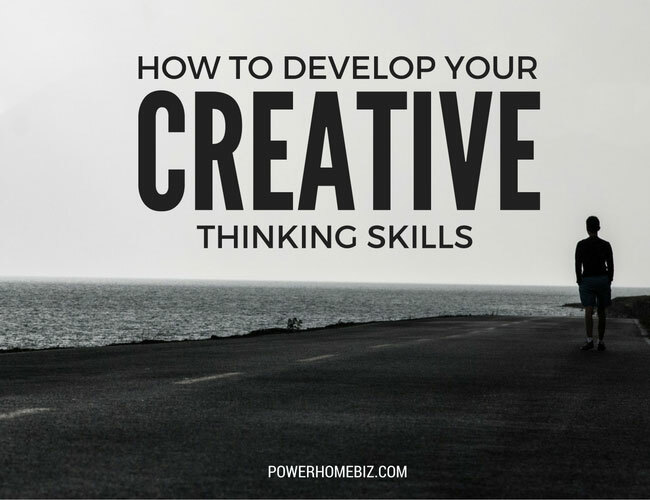 To succeed in business, you need to hone your creative thinking skills. One of the most fundamental skills of creativity is the ability to recognize an opportunity and seize it. You have countless opportunities to expand your creative thinking skills. Such opportunities present themselves daily at home, while driving to work, during meetings or lunch — or while just hanging out with friends. There’s really no shortage of opportunities to refine and develop your creativity. The most basic approach is to recognize that a “problem” may actually be a golden opportunity for a creative explosion — and seize the moment. It’s natural and necessary to make assumptions about the reality of our everyday world. We would otherwise spend all of our waking hours performing unnecessary mental analyses of ordinary things. Plus assumptions can become so entrenched it doesn’t cross our mind to challenge them. This often occurs later in life – when one’s assumptions are no longer questioned, although time has passed and things have changed. A problem may arise simply because we perceive a situation or condition through a set of false assumptions preventing clear thinking. Challenging your assumptions is an important component of creativity. This allows you to look beyond what is obvious or already accepted. And it leads straight to the creative breakthroughs you’re looking for. Truly creative people in all fields of interest tend to automatically challenge both their own assumptions, and the “commonly accepted knowledge” about a problem. This mental attitude is the true source of all of the world’s great inventions and businesses. The moment you choose to challenge one of your assumptions as possibly “untrue” or “incomplete,” you are on the way to discovering something new and different. To experience major creative breakthroughs, it’s important to become comfortable taking risks. Each “failure” you encounter will actually supercharge your creativity by generating new information. If you’re unwilling to take risks and deal with what ordinary people call “failure,” then you cannot expect to become a great creative thinker. Modern neuroscience has shown that our brains are literally rewired each time we learn something new by “making a mistake.” The brain is designed to learn through the trial and error process. To come up with a creative idea, you will often need a new vantage point. Creating a new solution to an existing problem, for example, may require looking at the problem from a fresh perspective. There are many tools used by creative thinkers to create such a fresh perspective, including: Brainstorming, MESV creative visualization, and considering the problem from a fresh vantage point. Additionally, a great way to kick start your creativity is to look at your problem from the vantage point of another profession. If you are a mechanical engineer, for example, how would an architect view your problem? Or if you are a product designer, how would an interior decorator approach your problem? This approach can lead to some remarkable creative breakthroughs. Many people prefer that everything be clear and unambiguous. They are uncomfortable with anything that seems vague, or could have more than one meaning or application. As a result they tend to be rigid, highly predictable thinkers. A touch of ambiguous thinking during the idea generation stage of the creative process has the power to bring out genius-level ideas. 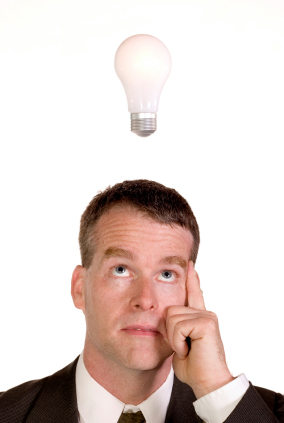 People who can think ambiguously are fluid and flexible thinkers. The ability to think ambiguously can yield amazing creative insights. This is ability is experienced (and built) when you indulge in wordplay or humor. An excellent way to build your creative muscles is to read and explore outside your normal area of interest. This can be especially useful when you are struggling to solve a creative problem. Creative thinking best occurs when your brain is in certain states called “alpha and theta.” You are in an “alpha/theta” state when your brain is producing a predominance of slower brainwaves, as opposed to the faster beta brainwaves associated with normal waking consciousness. Alpha/theta brainwaves are the reason many people have creative ah-ha experiences during a nap, a stroll, or some other mentally-relaxing activity. But consciously entering into an alpha/theta state can be a challenge. Meditators spend years learning to initiate this state on will, but modern technology has introduced a much faster method of building alpha/theta expertise – brainwave training. 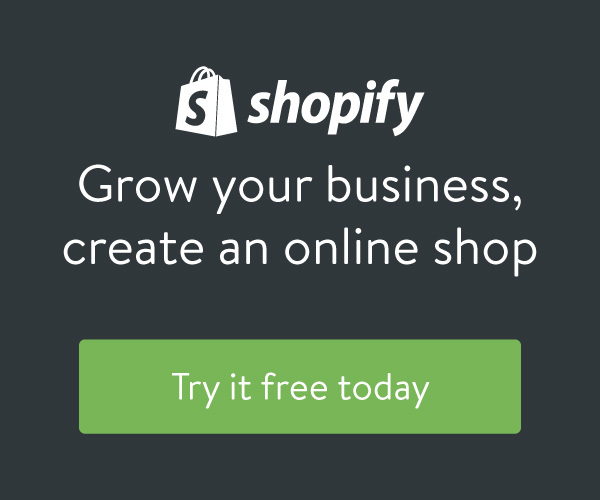 Be sure to check it out; your creativity will never be the same. Incidentally, a great side benefit of entering into the alpha/theta brainwave state is virtually instant stress reduction! The Power of Thinking Differently: An imaginative guide to creativity, change, and the discovery of new ideas.